The Raj Gastritis and GERD (Gastro Espohogeal Reflux Disease) Program is based on the science of Maharishi Ayurveda, and provides the most comprehensive natural approach for gastritis and GERD available today. Because a wide range of imbalances can contribute to the conditions of gastritis and GERD, the multi-facetted approach offered at The Raj is able to provide a significant step toward long-term relief. According to Ayurveda, the build-up of toxins and impurities, along with blockages preventing proper circulation in the gut, can lead to mucosal irritation from both the toxins and H. pylori growth. Impurities come from diet, poor digestion, poor metabolism and/or blocked elimination. Accumulation of stress also exacerbates the condition, as does disruption of natural biological cycles through disrupted sleep and irregular eating patterns. Our Gastritis and GERD Treatment Program is designed to improve digestion and metabolism, and remove deep-seated impurities and toxins, opening up the channels of circulation. This helps to restore balance to the stomach and esophagus. Our Ayurveda Experts will design an individualized Gastritis/GERD treatment program for your needs. You’ll leave with specialized recommendations to allow you to continue your progress at home. For 25 years The Raj has led the field in Ayurveda treatments. Accepting no more than 15 guests at a time, The Raj offers the highest quality of individualized service and treatment. Ayurvedic experts, Mark Toomey PhD and Vaidya MP Manohar, together with Dr. Robert Schneider, MD, will design the most effective, program to address your unique gastritis condition. By identifying the source of your gastritis condition through Pulse Assessment, our individualized treatment programs can effect significant changes without harmful side effects. With an emphasis on prevention, and utilizing only natural approaches, The Raj program for gastritis and GERN conditions removes toxins, nourishes the brain and promotes balanced health. All of our treatments have been approved by The Maharishi Ayurveda Council of Physicians, a consortium of Ayurveda doctors considered the gold standard of Ayuveda in India. How do The Raj treatments target gastritis and GERD? Many disorders can occur when toxins build up in tissues. As mentioned above, one of the first influences toxin accumulation has is on the nerve tissue. If toxins continually aggravate the nerve tissue the result can be symptoms of tenderness, pain and hypersensitivity to stimulation. Toxins can also block the channels of circulation to affected areas, thus diminishing the natural cleansing processes of the body and allowing more impurities to accumulate in the tissues. The Ayurveda detoxification treatments received during your Gastritis and GERD program address the need to cleanse the body and open the channels of circulation by providing the most thorough internal cleansing programs available in Ayurveda medicine. In fact, research has shown that these treatments remove a class of toxins (fat-soluble toxins) that no other detox treatments can remove. 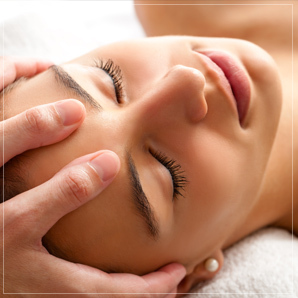 For a detailed description of Panchakarma Treatments, click here. How do the doshas influence gastritis and GERD? Balancing the doshas is an important step in your healing process, because an aggravation of Pitta dosha is often involved in the development of Gastritis and GERD. When Pitta (the principal of heat and transformation in the body) becomes aggravated, it can gain an acidic nature. This disturbance of Pitta leads to symptoms like sour belching, heartburn, and indigestion. If untreated it can lead to more complicated symptoms. Ayurvedic treatments for gastritis and GERD help to remove this excess of Pitta dosha, restore balance to the dosha, and protect the stomach and gut from becoming further damaged. Gastritis and GERD is perceived as a classic example of Pitta imbalance. Therefore, an important component in treating Gastritis and GERD pain is to balance and stabilize Pitta. What is Pulse Assessment and how can it help me? During an in-residence stay for gastritis, our Ayurveda expert will use pulse assessment and other Ayurveda evaluation tools to determine balance and imbalance in your body’s inner intelligence. This assessment is not an evaluation of the state of cells and tissues but an evaluation of a deeper level of physiological functioning that controls the healing and self-repair mechanisms of the body. Disruptions on this level are the root cause of disorder. People can have gastritis and GERD for different reasons and need different programs to heal the condition. Your Ayurveda expert will not be just matching treatments to the overall condition of Gastritis and GERD, but will individualize the program to the specific imbalances that are causing your symptoms. This is the value of the initial Ayurveda assessment at the beginning of your stay; to understand your individual state of balance and imbalance and build a treatment program around your needs. What kinds of treatments are used? At the heart of The Raj programs are the classic Ayurveda detoxification and rejuvenation therapies, known as Panchakarma. These powerful and luxurious series of treatments synergistically combine to remove the root causes of Gastritis by eliminating toxic buildup, improving digestion and metabolism, reducing imbalance in the doshas and providing relief from stress. How important is diet in treating gastritis and GERD? Gastritis and GERD can be triggered by, and aggravated through, improper diet. Some foods can make Pitta dosha highly active, thereby increasing Gastritis and GERD symptoms. Consultations with The Raj Ayurveda experts, along with daily educational meetings, will help you understand which foods may obstruct circulation and create digestive issues. These foods have the potential to create toxins and need to be avoided. You will also learn which foods can be more easily digested. This creates micronutrients that can be assimilated into the tissues, which rebuilds strength and restores balance. As important as what you eat is how well you digest, metabolize, and eliminate food. The Raj Gastritis and GERD Treatment Program helps to improve digestion, metabolism and elimination, which will build a strong foundation for your healing process. While improper diet and nutrition can aggravate Gastritis and GERD, proper nutrition can go a long way to healing it and preventing future flare-ups. How can stress affect gastritis and GERD? Various stressors like infection, allergy and mental stress are well-known to trigger Gastritis and GERD symptoms. There are hormonal changes and other biochemical responses to stress that can aggravate the nervous system and the inflammatory response. Enhancing the body’s ability to recover from stress is an integral part of The Raj’s approach to health and well-being. Why do I need a home program after I leave The Raj? One of the most important factors for balancing the doshas and maintaining stability in the nervous system is to have a lifestyle that does not disrupt natural bodily rhythms. When we eat, sleep, and exercise in constantly fluctuating and disturbing patterns, the body loses its natural balancing cycles and cannot cleanse or heal itself as effectively. Therefore, regularity in our daily routine can be extremely effective in reducing the imbalances at the basis of Gastritis and GERD. Our Ayurveda experts will review your normal daily schedule and work with you to create a daily routine that will support increased balance in your nervous system and physiology. When I arrived at The Raj I had so much stress. I felt bloating and had bad digestion. After the program I felt relaxed. I lost some pounds. I am feeling relaxed, enthusiastic and a little bit lighter. After being here, my mind has stopped producing so much anxiety. It has quieted down. I feel more calm, relaxed, satisfied, cheerful and light. My stomach issues have begun to feel much more balanced. After 3 days my body feels light, clean, and at ease. Indigestion feels completely renovated. Aches and pains gone in my back and neck. I have a whole new take on what it means to live healthily and I ‘m excited to apply what I have learned here to my daily routine at home. Thank you.